Home / Culture / How many languages are spoken in Balochistan? Languages are one of the key aspects of recognizing someone culture. Language is what provides you with the blueprint of family rules and regulations, the way of their celebrations, their foods, and the way of spending life. Baluchistan is full of culture, there are different cultures living in Baluchistan. We are providing the list of most common languages used normally in this province. So without any ado, let’s get started. Balochi – As you hear about the province name, you somehow get an idea that this province name belongs to the Balochi culture. If we talk about the ratio so half of the population in Balochistan is Balochi and this language is spoken all across the Balochistan. If we talk about places so there are several including Quetta, Mastung, Kalat, Khuzdar, Panjgur, Turbat, Gwadar, Pasni, Kohlo, Dera Bugti, Sibbi, Sorab, Chagai, kharan, washuk, panjgur, kech. Pashtun – Pashtun is an ethnic group who lives in Pakistan and Afghanistan. If we talk about Pashtuns In Balochistan, there are different places including Quetta, Pishin, Qilla Abdullah, Zhob, Musakhail, Qilla Saifullah, Loralai, Ziarat, Sherani, Harnai, Chaman, kuchlak. Brahui – It is a Dravidian language which is spoken primarily by the Brahui people. 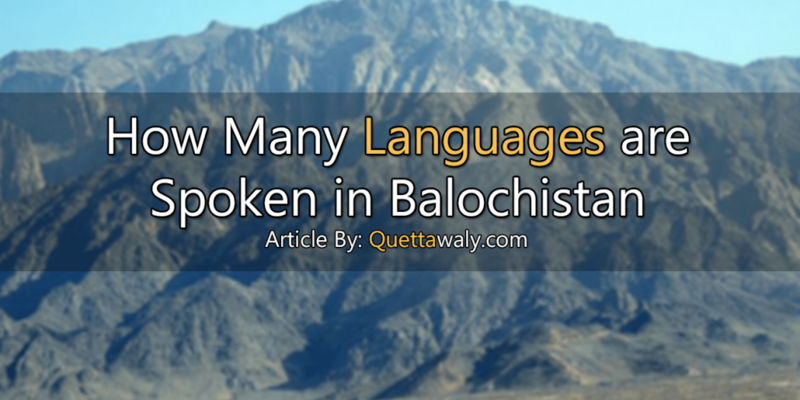 It is the most common language in the capital of Balochistan. But, if we talk about the places so there are several including Quetta, Kalat, Khuzdar, Mastung, Bolan, Nasirabad, Mastung, Sibbi, and Mach. Hazargi – It’s the eastern variety of Persian, the language is most commonly speaks by the Hazara people in Balochistan. The language is also common and spoken in Iran and the Hazarajat region of Central Afghanistan. The language is common among the Hazara and other Shia peoples who live in a particular place in Quetta. Tajiki – It is the type of Persian, spoken mainly in Tajikistan. In the last few decades, the Tajik’s are migrated to Pakistan, and they are mostly found in the Quetta region of Balochistan. So there are tons of Tajiki people’s lives in Quetta and speaks in their native language. Urdu – Urdu is the national language of Pakistan. Baluchistan is full of culture but still, there is a lot of population who resides in Baluchistan, speaks in Urdu. Sindhi – It’s an Indo-Aryan language of the historical Sindh region. And if we talk about Balochistan, so there is a lot of Sindhi lives here. 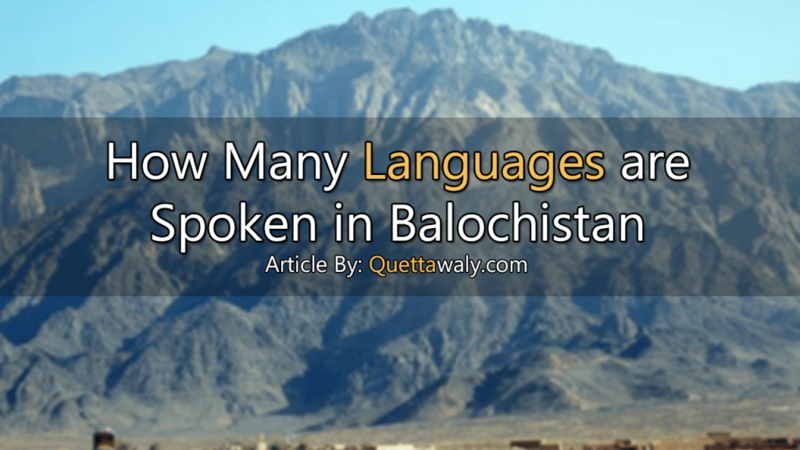 This language is commonly spoken in Quetta, Jhal Magsi, Nasirabad, Sibbi, and Jaffarabad.